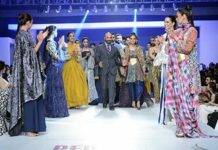 Pakistan fashion industry is emerging with the speed of light and the country’s numero uno general entertainment network, HUM Network Ltd. has been playing an important role in pushing fashion forward in Pakistan. 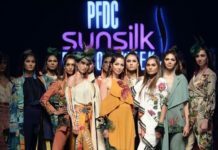 HUM Network presented the 15th Edition of Pantene Bridal Couture Week, providing a platform for bringing the established and emerging couture designers of the country by rolling out the glamorous red carpet and runway. The country’s biggest and most sought after three-day bridal fashion extravaganza, Pantene HUM Bridal Couture Week 2017 commenced here in Lahore on December 8, 2017, presenting the latest and the best of Pakistani bridal trends by leading and burgeoning fashion designers on the catwalk. Show one of the bridal extravaganza kicked off with the classic collection of Fahad Hussayn’s ARTH Novelty Couture 17/18, followed by Mifrah’s collection inspired by the rich traditions, essence, cultures and heritage. Humayun Alamgir was the third to present his collection Poshak on the runway which was followed by Je Suis Belle by Reema Ahsan. Show one concluded with Aisha Imran’s Jahan Ara. Show two of PHBCW started with Faris by Ziggi Menswear, which was followed by MNR Design Studio’s Gulab Sandesh. Designer duo Deepak N Fahad were next to present their collection Shahtaabi on the Catwalk. 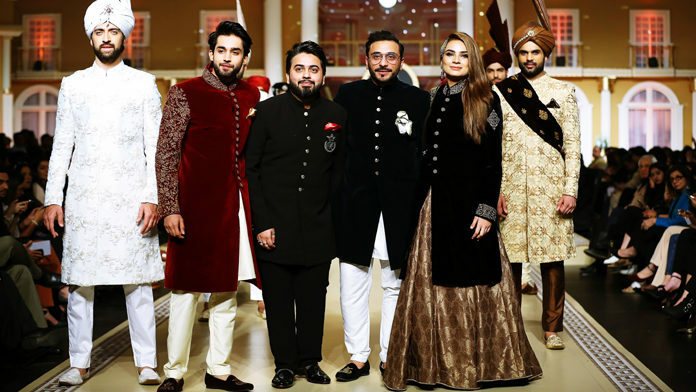 Day 1 of three-day bridal extravaganza concluded with a bang in a special segment Classic 15, where the country’s top 15 couturiers presented a specially designed outfit each, including HSY, Karma, Elan, Saniya Maskatiya, House of Amir Adnan, Nida Azwer, Rana Noman, The House of Kamiar Rokni, Mahgul, Shamsha Hashwani, Nilofer Shahid, Farah Talib Aziz, Mehdi, Republic by Omar Farooq and Honey Waqar. 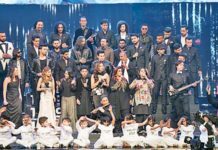 PHBCW, famous for adding allure to the runway with an illustrious list of showstoppers, had a star-studded line-up and power-packed performances on the first day; film star Shaan Shahid, Uzma Hassan and Mohib Mirza opened the show for Fahad Hussayn while Bilal Abbas walked the ramp for Humayun Alamgir with a special performance by Wali Hamid Khan. The charming Ahmed Ali and Mah e Noor Haider show-stopped for Aisha Imran, whereas the stunning Sajal Aly and Aima Baig added allure to MNR’s collection. 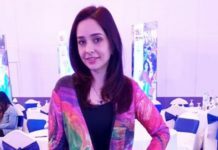 Dance maestro Wahab Shah added an extra flavour to the bridal drama with his impeccable Pantene segment performance, where the singing sensation Zoe Viccaji raised the entertainment quotient of the show with her upbeat performance. Last but not the least, the rising singer and actor Haroon Shahid performed in the Classic 15 segment.